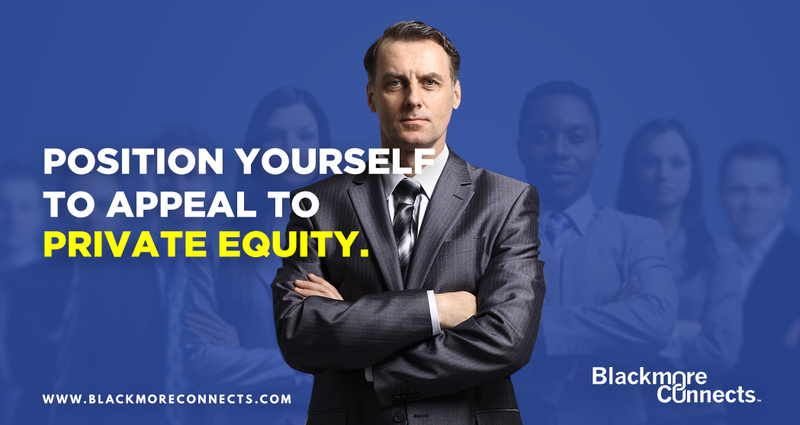 BlackmoreConnects™ – The Association for Private Equity serves its members with the ultimate platform for executives who desire to secure a role within Private Equity(PE). This is accomplished through education, support and networking opportunities. Membership within our association will result in a clearly defined pathway that will ultimately increase your outreach success and leverage your industry expertise into securing sponsorship from PE. As a division of Blackmore Partners, Inc., our association provides customized access to a world-wide database of private equity contacts. In leveraging this database, a member will effectively increase their success in getting the attention of PE decision makers, with the end result being a vast personal network of established contacts. Furthermore, members have the opportunity to apply to a variety of open positions. These positions are updated bi-weekly. These bi-weekly updates are based off of changes in management due to PE firms acquiring a platform(s). BlackmoreConnects™ maximizes its members’ success in PE with support through community, advice, knowledge and education. Members are provided educational opportunities to expand their PE knowledge through proprietary webinars, articles, templates and personal coaching. In addition, members can most effectively build out their PE network through participation in our conference and networking events. These events position our members TOP OF MIND for open positions by directly networking with PE in a one-on-one capacity. As a premier membership association, qualified executives can apply to three levels of membership: Gold , Bronze , or BronzePlus+. Each level offers specific advantages depending on your goals.